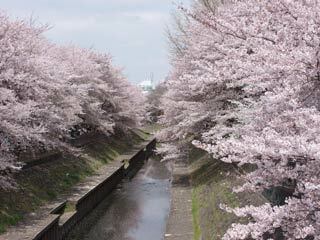 Zenpukuji River Green Park (善福寺川緑地, zenpukujigawaryokuchi) is one of popular Hanami Spots in Tokyo. Between Kamidoori Bridge and Ozaki Bridge which is about 1.5km long, there are about 400 Sakura in this place, and many people enjoy their Hanami Party. There is several food stands open during the Sakura season. 1. use Kanto bus to Zenpukujigawaryokuchi. It remains great beauty of Musashino natures.